Growing up Sunday Dinner was always sort of a better amped up version of everyday dinner. Something better than just your everyday casserole. I always appreciated the extra effort that went into preparing a nice Sunday dinner. Yesterday my husband mention that a good brisket would be nice or maybe a pork tenderloin… So I went to the store this morning and picked up few things to make his Sunday dinner dreams come true. I decided on the beef brisket and immediately referenced my Betty Crocker Red Book hoping to knock another recipe of the list! Here is the link to the recipe that I used for Onion and Pepper Braised Brisket! I want to talk a little about choosing the correct type of brisket. You’ll notice the recipe specifically states not corned beef brisket. So what’s the difference, glad you asked! 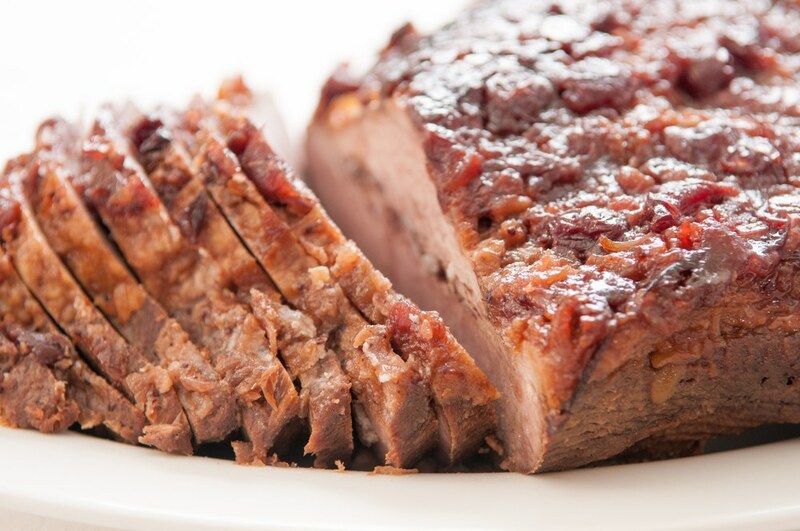 Corned beef brisket has been heavily brined or soaked in a salty solution to tenderize and flavor the meat. Using this product will make a very different dish! So be sure to get a regular beef brisket. My grocer did not have a brisket available so I am substituting with a top roast. If you need to substitute try to find a cut like Top Roast or Rump Roast that have similar fat content and good marbling. The recipe I am using takes about three hours but read the instructions carefully because some recipes can take as much as 11 hours! This includes some marinating time to help tenderize the meat, and may need to be started the night before cooking. So double check your recipe and plan accordingly! This is a flavorful recipe, the meat turned out great, juicy and delicious, although a little spicy! I think next time half the chili sauce and add some tomato sauce to it.Happy Sunday! Enjoy! !